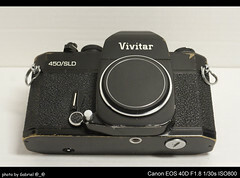 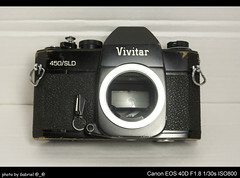 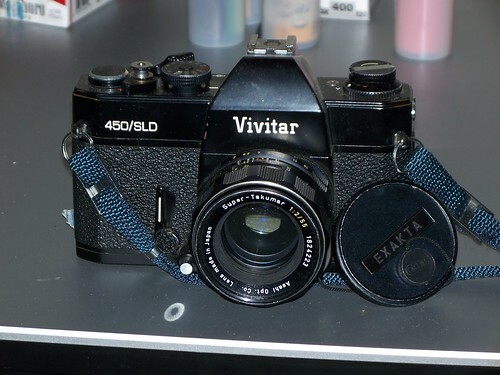 The Vivitar 450/SLD is a Cosina-made M42 mount, 35mm SLR, marketed by Vivitar. 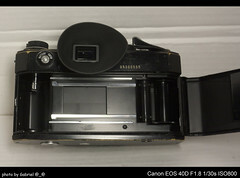 It has a mechanical metal shutter with speeds from 1 to 1/1000 of a sec and a B mode. 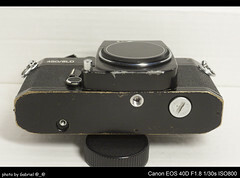 The exposure meter is a match needle type. 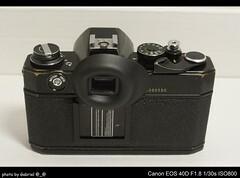 Film of 25 to 3200 ASA can be used. 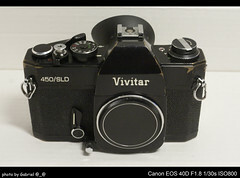 The meter is powered by a 1.5v SR44 button cell. 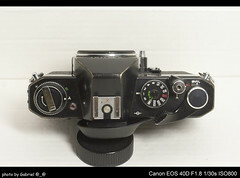 This page was last edited on 30 March 2018, at 02:15.